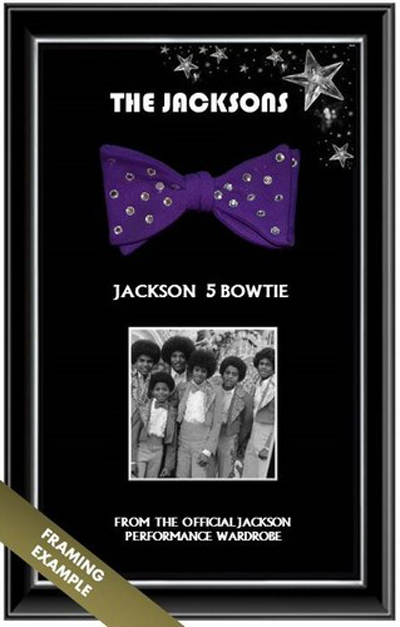 1970s White Bow Tie From The Jackson 5 Wardrobe A custom made white bow tie created in double knit polyester. A magical piece of Jackson 5 memorabilia. 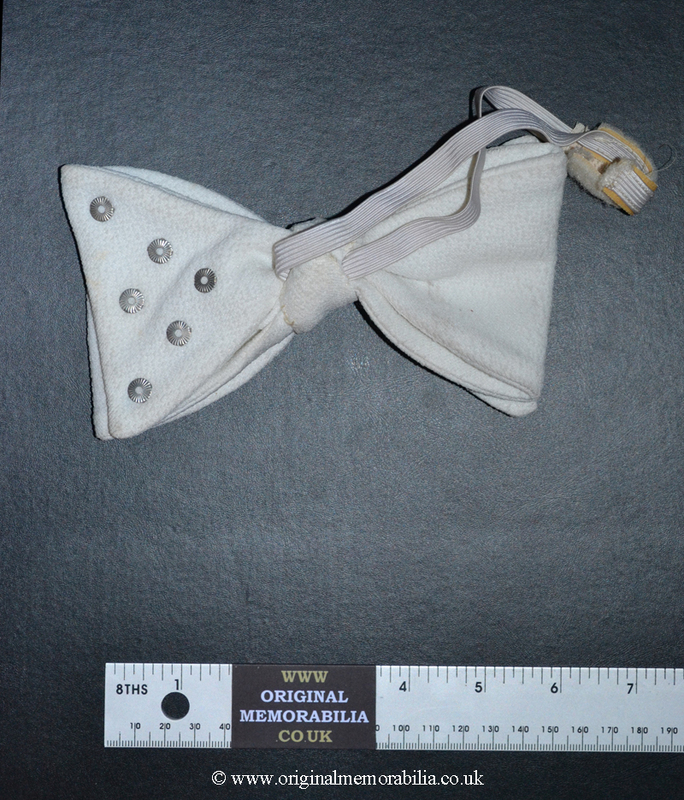 A custom made white bow tie created in double knit polyester. A magical piece of Jackson 5 memorabilia. 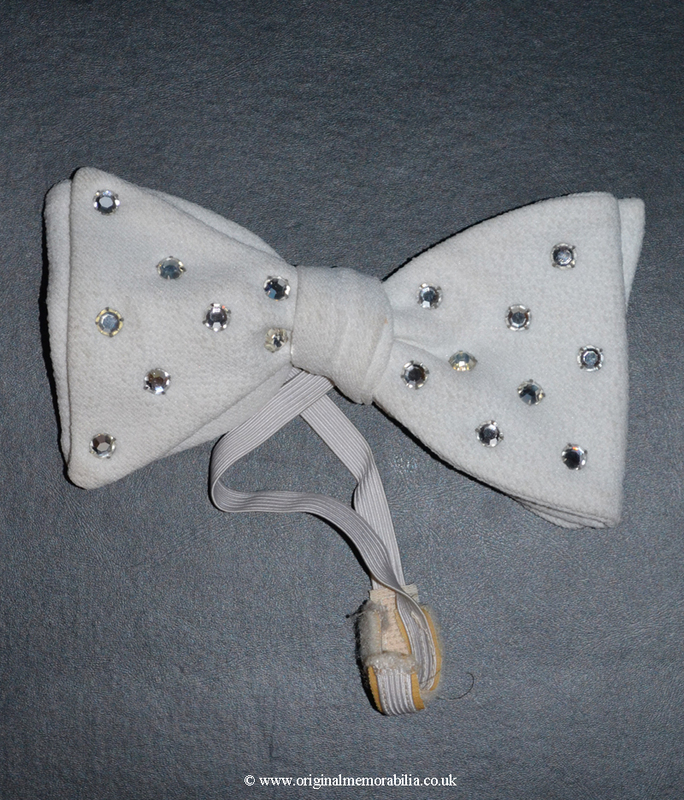 A custom made white bow tie created in double knit polyester. They are liberally sprinkled with rhinestone style silver studs and have a white elastic strap for securing to the shirt. 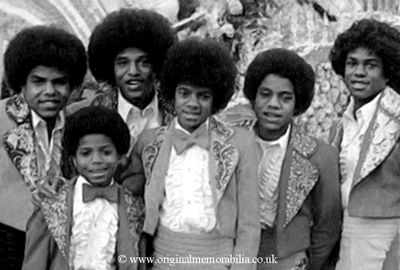 A magical piece of Jackson 5 memorabilia that would look outstanding framed. Circa 1970s. Small marks and slight discolouration consistent with age. We can provide a bespoke framing service for this item. Please contact us at sales@originalmemorabilia.co.uk for further information. Size (approximate) Large bowtie 6" X 3 1/2"